On December 13th, Perspectivity joined the first ever co-creation session of The Spindle, both as participant and as facilitors. 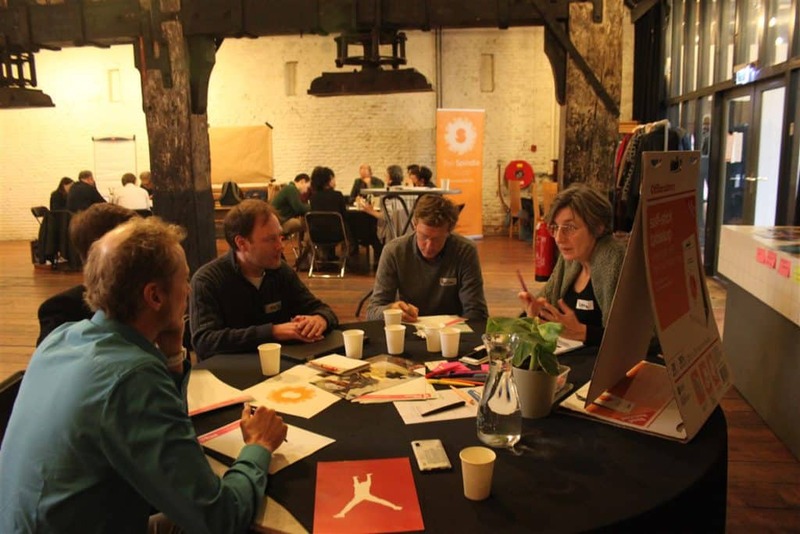 The Spindle connects Dutch and global innovators into a movement for inclusive, sustainable development. The Spindle is initiated by Partos, the association of Dutch NGOs working in international development. Perspectivity’s Anna Kogut hosted one of the five innovation labs on civic space. Central question: How can we partner with private sector parties to open and increase civic space? Stable communities with a vital civil society are also in the interest of any private sector party that wants to develop and sustain a business. What is a good model for partnerships between civil society organisations and private sector parties? A team of seven co-creators from CIVICUS, Oxfam Novib, Both Ends, Steward Redqueen, RNW, Partos en Perspectivity designed the flow of a dialogue with the private sector, which will be followed up in January. The way you structured the session really helped us to make concrete steps forward in just a few hours.